Next show Tues May 28th: SAVE THE DATE! And our next show is Tues May 28th, save the date! More details as and when. In the meantime, I teach Storytelling and speaking and run workshops for companies and organizations over at YesYesMarsha.com — come and say hi! Next show: March 19th, TST @ the Toronto Storytelling Festival! True Stories (Told Live) Toronto at the Storytelling Festival! Tues March 19th @ The Garrison, Dundas St West @ Ossington Ave. Doors open 6.45pm, stories start 7.30pm sharp. and special visiting guest storyteller from the Storytelling Festival… Peter Chand! We’re thrilled once again to partner up with the Toronto Storytelling Festival for this very special show! The show is a really lovely night, friendly and warm. There is a 20-minute interval, but quite a few people come on their own with a book or something, so if you fancy doing that, you won’t be the only one. If you want to come early and grab some food, The Lakeview diner (est 1932) is a few steps away, with the best shakes (I love banana-vanilla) and sweet potato fries in Toronto. SEE YOU ON Tues March 19th! Spread the word! Next show Jan 22nd, 2019 — Save the Date! Thanks to everyone who came along in November. That was a bit magical, wasn’t it? Next show is Tues Jan 22nd. Details coming soon, but save the date! Save the date! Next show Tues Nov 27th! Thanks to everyone who came along to our Ghost Stories show! GHOST STORIES Told Live — Tues Oct 30th! Get ready for a teeeeeeeerrrifyyyyyyyyyyyiiiiiiiiing* night of ghost, Hallowe’en and spook-related (mostly) true stories! It’s time for our yearly fundraiser, the wildly popular GHOST Stories Told Live! This time we have NINE storytellers, telling true stories about eerie things that happened to or near them (or to one of their relatives). Featuring some of True Stories Told Live’s favourite previous storytellers and a few new faces – including Sage Tyrtle, Chris Graham, Arianne Shaffer and Dan Yashinksy — the Founder of the Toronto Storytelling Festival! Also, the return of the ever-popular singalonga Ghostbusters Theme Tune. COSTUME OPTIONAL (which means: I’ll be in one, but you don’t have to). Tues Oct 30th @ The Garrison, Dundas St West @ Ossington Ave.
(a handful available on the door for $15 each). You’ll need to get there early to get a good seat (latecomers have to stand at the back). 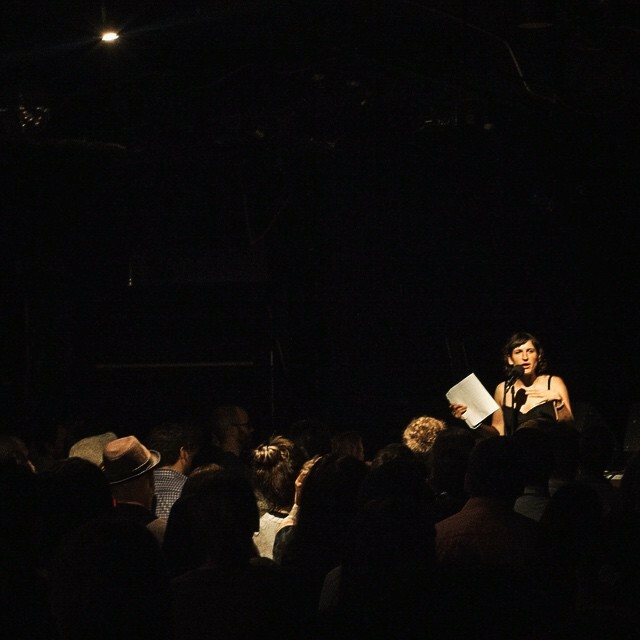 GHOST STORIES Told Live — Tues Oct 30th @ The Garrison! Tues Sept 18th @ The Garrison, Dundas St West @ Ossington Ave.